with the bank for less. Mortgage and Real Estate All in One Inc. In the first "game" of the summer season , in a exercise meant to tighten up for tournament play , the CUBS instead wiped the dust off the equiptment and went through a can of WD-40 to find some promising performances from Leo Soler in Right field ,Ben Fitz going 3-3 at the plate, Jesus Delgado behind the plate and Tony Damiano oiling up the rotator cuff to come in and strike out the sides in the final inning . The CUBS travelled to the Stars Complex to take on the Ft Myers Bandits twice. In the first game after trailing 3-1 , the comeback Cubs scored 3 runs to tie it at 4-4 in the bottom of the sixth in a game ended by time limit . In the second game, the CUBS jumped ahead 4-1 early . But the bats caught up with the arms as the Bandits tacked on 13 runs in 3 seperate rallies to win 14-5 . The CUBS came back from a three run deficit after 5 and a half innings against the Ft Myers Bandits , with 2 runs in the sixth and two in the bottom of the 7th for a 7-6 victory in the opener. Tony Damiano started the last chance inning with a single and a stolen base . Joe Rivera got an RBI single to tie it up and Mauro Real drove in the winning run with a single . in comeback style as they rallied in the last inning of the opener 5-4 . In the nightcap the Cubs rallied with 4 runs in the top of the 7th after trailing throughout to make it 5-4.
and lost 14-1 hoping to save energy for the later games. H. Platt. After settling down into stride with 4 shut out innings ,the Cubs trailed 2-1 after 5 innings and Maxwell's exit. game that went one more to determine a winner. there best defensive effort to date. of an overthrown throw to first in the fifth inning. Rooney walked the Lead off man in the sixth , and then retired the next batter on a roller to the right of the mound .but the lead runner reached third . the next batter to set up a potential double play . but failed to protect against the steal on the very next play. The Cubs intentionally walked the based loaded to mandate a force at any base . All strategy was lost as the next batter at the bottom of the order walked to score the tie run. and the next man struck out to end the inning. Joey Rivera hit a long drive double to right center to drive in two runners to take the lead for good in the bottom of the inning . Second game starter Logan Maxwell came in to finish in the 7th and almost did it on one pitch , with one out and a man at first and second , a ground ball up the middle was fielded by the short stop . Tony Damiano attempted to bare hand tag the runner going to second but he avoided the tag by running out of the base path , but the SS fired to the plate to get the runner out at home. Maxwell struck out the next batter to end the game . Dirtiest uniform went to Tony Damiano , who layed out for a few with 8 put outs out of 27 batters , and 4 stolen bases. held on 6-5 to sweep. on the mound in the remaining 6 innings. In the rubber game of the series this year, it all came down to who showed up . It should have been a competitive battle based on the last few meetings, which were won by the rallying Cubs 13-10 and 10-7 in extra innings , and Mustang wins of 9-2 and 11-1 .
held the CUBS to one run in the first five innings. a base hit for the day. The Cubs Traveled to face the Port Charlotte Thunder. T shirts donned the blue and the game commenced after a slight delay. instead of packing up and going home , the Cubs stayed to play. Game which ended in a 7-3 Loss. On a high note , The Cubs completed a 5-2-3-2 TRIPLE PLAY with bases loaded . to stay silent when the Thunder pitcher was set to throw . The Cubs came from behind with a pinch hit single by Leo Soler, a perfect would-be sac bunt by pinch hitter David Ervin that turned into a base hit and a Single by Tony Damiano to drive in the crucial run and force another inning tied at 5-5 . In a game that was now officially over the time limit , both teams agreed to play one more inning . The Thunder scored 2 in the top of the 7th and in the Cubs half of the inning with men on 1st and 2nd and no outs , a very questionable called third strike led to protests by the spectators which prompted the home plate umpire to call the game with only one out in the inning. ……WE DESERVED TO WIN ! hitting the top of the left field fence and leaving the park on his way to a 4 for 5 hitting performance. home run lead 3-2 this season. Connor Rooney drove in the winning run in the 7th for the 7-6 Cub win. as he drove in the winning run with a base hit . proving its not how many, but WHEN, that counts . Eagles refused to even do a coin toss and declared themselves the home team for their rival Cubs . due to the Eagles baserunning and manufacturing runs and many errors by the Cubs . The CUBS made a run but fell short 4-3 .
and a GRAND SLAM to the same spot in the nightcap. and consecutive hits by the top of the order as the Cubs went on to win 5-4 with help from the Cubs relief pitching. nice catches on long fly balls on this windy day. but failed to capitalize thus ending the game . settle for potential last seed and a Sunday "Breakfast at Golden Gate National" opener against the other lowest seed. 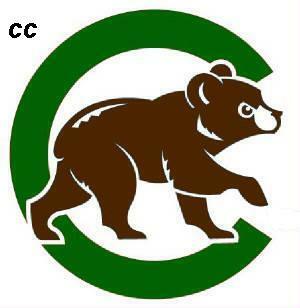 THE CUBS MUST WIN 3 IN A ROW TO AVOID ELIMINATION AND WIN THE IBC NAPLES SPRING CLASSIC . SURPRISINGLY THE LOWEST SEED WITH THE CUBS WAS THE MUSTANGS FOR THE 9 AM OPENER. but the Mustangs rallied to tie . The Cubs scored in the top of the 7th to go ahead, but the Mustangs scored to force extra innings . The Cubs had to dig deeper into their pitching staff using their next starter Connor Rooney for extra innings and won the game with a 3 run top of the 9th inning capped by a 5 for 6 hitting performance by Tony Damiano to drive in 2 runs and 3 defensive put outs by the shortstop in the bottom of the ninth. Of note , earlier in the game , he sustained a spike just below the knee while tagging out Dillon Woods of the Mustangs . Thats gonna hurt in the morning. to score 3 runs. The Eagles went on to the Championship game to beat the Miami Makos for a 7-3 victory . File this day under things you find out while doing other things . The Cubs showed up to play the Mustangs , a team they had scrimmaged earlier in the year. Instead the Clydesdales showed up , with big bats that could not be stopped . You can't say the Cubs played bad , they had some great plays throwing out the runner at 2nd stealing on many occasions , and pick offs at 1st and second , even an excellent relay and tag out at the plate . But the Mustangs kept hitting everything DEEP and HARD. In a Bizarre call , an overthrown ball hit the Mustangs Coach's bucket but stayed in play . The Ump at first ruled that because the ball touched equiptment, the play is dead and the Mustangs runner was awarded home , to the Cubs detriment. The ump informed their was no rule to keep the equiptment off the field . mistakes and wild pitches continued to fill the scorecard the entire day. his stuff with 2 strike outs and no earned runs in 2 innings . Auburndale area lake filled community . In a scene reminesent of Field of Dreams, most parents just followed the lights around the lakes and corn fields . good stuff on the mound and CJ Mealer and Kris Anderson came in to relieve for another day. outlet malls thanks to some CUBS parents. check out of the hotel , drive and be at their game in time to warm up for the 8 am first pitch. and the Cubs were behind 6-0 . BLUE ruled the fielder had the ball long enough, which proved to be first of many questionable Lady umpire calls. The would-be rally ended when a Cubs runner was thrown out on an attempted steal . play as the ball was thrown to second for the tag. took the field again as the ball was ruled as hitting the ground , and not a catch , as was obvious to all . The rally resumed as catcher Chris Grupp reached on a base hit . A courtesy runner was asked for , but denied by the umps. According to AAU website and tournaments rules printed on their website and displayed at the gate , "a courtesy runner may be used for each teams catcher and pitcher and will not be counted as a substitute player, but cannot be a starter for the game or currently in the game" . and got solid relief help from Chris Grupp. can be afforded this year, Kris Anderson came in very early after back to back walks from the starter. loaded in the marathon first inning with key strike outs. The short handed CUBS missed 3 starters and saw limited time from 1 more but managed a split in the doubleheader. failed to capitalize on opportunities and could not complete a late inning rally for the 4-1 loss. IN Game 2 , The Cubs jumped out to a big lead under the hitting of Mauro Real ,who lead the Cubs with 5 hits on the day. Cubs were up 8-2 at one point but held off a late rally to seal the game 11-5 with men on base. CUBS WIN ! CUBS WIN ! WE HAD A BLAST IN TAMPA ! such a nice facility , thanks to all the parents , families, friends, coaches and players for their time , money and effort ! Team emphasis is on basic skills, self improvement, preping for the next level, and level headed ,positive adult leadership. Team will be coached by Joe Rivera, a former Player and Coach at the H.S. level. Cape Coral and played a replacement game with the BOMBERS instead of their regularly scheduled season finale against the Collier County Rangers. in a reluctant coaching move in a must stop situationto end the inning. That left the CUBS in a do or die 7th inning. 6-4-3 double play. But the Bombers runner legged out the play at first , and the storybook finish was not to be. Mauro Real shed the catchers gear by day and assumed pitcher's duties in a Ironman sun to sun performance in the nightcap. RUNS ON A TIMELY HIT THAT BROKE THE 1-1 PITCHERS DUEL. TONY DAMIANO HELD OFF THE RALLYING EXTREME ALLOWING NO RUNS AFTER BASES WERE LOADED TO GET THE SAVE. THE SUPRISE EXTREME BEAT THE #1 SEEDED NEW TAMPA PREDATORS THE NIGHT BEFORE . ON ZERO DAYS REST FOR THE FIRST TIME . FEST OFF THE OPPONENTS RELIEVER ,AS THE SEBRINGS STARTER FIZZLED AFTER A LENGTHY TOURNAMENT FOR ALL, TO MAKE IT 10-7. THE CUBS PUT UP THE WHITE FLAG TRAILING BY 8 AND THE GAME ENDED 17-7 AFTER THE UMPS FORCED PLAY UNTIL COMPLETION OF THE INNING IN WHICH THE HOME TEAM WAS BATTING . THE TRIP WAS A DAVID VERSUS GOLIATH ATTEMPT, BUT THE TEAM IS BETTER FOR THE EXPERIENCE. Damiano started on the mound in a preview of what may be to come . Damiano Joined by his 14 teammates got to play on what will be for most ,their future high school field. Although the kids are in middle school,many will be attending here in the future. This was the Cubs first game coming off of spring break. 2 practices and a scrimmage were canceled because of rain and attrition and the 10 day layoff showed . after 5 innings as the CUBS led 8-1 . Hits by Tony Curto,Mauro Real, Gabe Morales and Andrew Profeta drove in key runs. The Force rallied for 2 in the 6th off of a tiring Damiano. thru most of the game ,despite errors late. It was good to finally escape with a win against a solid team. THE CUBS LEFT MEN ON BASE IN WHAT PROVED TO BE THE DIFFERENCE. 13-1 victory. Eric Nestle finished the job for the Cubs with a good effort. back from deficits of 6-3 and 8-6 to tie it going into the 6th inninng. pitching outlasted the shorthanded Cubs for the 15-8 win. of it today as walks led the path to another Eagles victory. 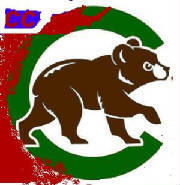 Although the CUBS bats did come alive today, critcal errors and mental mistakes were the difference between getting out of an inning unscathed or playing catch up the rest of the game.Tony Damiano,Eric Nestel, Mauro Real and Gabriel Morales all had extra base hits today. There is an old saying , "You can't learn and get better, unless you play teams better than you". The Cubs got a double dose of tough homework and final exams all at once. schedule with another doubleheader scheduled for tommorrow. In the second game, Tony Damiano started it off with a repeat of the first game , different reason same results. The Yard Dogs ran around the bases on a combination of walks, fighting off and hitting good pitches , and defensive lapses . The Dawgs , as good teams do, would not help you beat them . They laid off great pitches that normal hitters swing and miss at. Instead, they dug down deep and waited and hit the hitters pitch. A relieved Mauro Real came in to pitch, finally shedding the catchers gear, after pulling double duty behind the plate. and curves complete with life size video pitcher--today the results showed. that featured extra base hits by the pitchers . as Connor Rooney was pulled as the starter because of injury. a desperate jam ending 2nd and third out . The game was stopped because of time as the home team crossed the plate with the winning run after 5 innings , in a rule that normally is reserved for Tournament or Championship game play. pitching debuts and chaulked the day up to experience. The coaching staff directed the Cubs players to forget about the game so, theoretically , the Cubs did not lose 21-0 in a game cut to 4 innings because of time. TURNED OUT TO FAVOR THE STING AS A BLINDING SUN PROVED A NUISANCE TO THE FIELDER'S MOST OF THE DAY. THE WHEELS FELL OFF ,STILL WITH TWO OUTS AS THE STING SCORED A TOTAL OF 5 RUNS IN THE INNING . 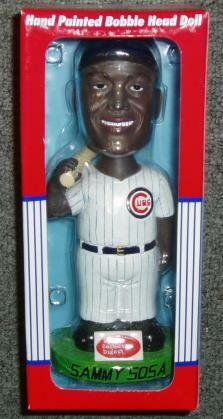 THE CUBS COMEBACK TRY FIZZLED WITH 2 RUNS LATE TO END THE GAME. AND IT WAS 8-2 STING IN HURRY AFTER 2 INNINGS. GROUP OF 13 YEAR OLDS THAT HAVE PLAYED TOGETHER MANY YEARS AND DWARF THE LOCAL 14 YEAR OLD TEAM., SOURCES SAY. JAMMING THE BIG GUNS ON THEIR NEXT TRIP TO THE PLATE. THE CUBS TOOK THE LEAD FOR GOOD AND HELD ON AS TONY CURTO MADE AN APPEARANCE ON THE HILL IN THE 7TH GETTING THRU MOST OF THE ORDER . WITH MEN ON 1ST AND 2ND , THE CUBS OUTFIELDERS BACKED UP AGAINST THE FENCE AWAITING YET ANOTHER SMASH FROM THE POWERFUL LEFTY HITTERS DUE UP. THREW OUT THE RUNNER GOING TO THIRD . send 4 different pitchers to the mound in a 7 inning scrimmage at Three Oaks Park on an overcast and down right COLD Florida afternoon (53 deg.). With a stiff chilling 15 mph wind blowing in relentlessly from centerfield , both teams were left to manufacture runs any way they could . shared the remainder of pitching duty and all turned in good efforts. fresh closer to earn the tie. DEDICATION. WHEN AT A CROSS ROAD , SOME PEOPLE CAN'T DECIDE WHICH ROAD TO TAKE . ONE ROAD MAY LEAD TO ROCK STARDOM , AND ONE ROAD MAY LEAD TO A COLLEGE DEGREE. YOU CAN SPEND YOUR MONEY ON A CRYSTAL BALL THAT MAY TELL THE FUTURE , OR A REAL CHEAP MIRROR. AND THEN DECIDE TO MAKE YOURSELF THE BEST . THEN SEE THE GAME FOR WHAT IT IS ....A GAME OF ENTERTAINMENT. .. TO BE TAKEN LIGHTLY ... BUT WHY WASTE TIME ? LEARN MATH..GET INTO COLLEGE , GET A GOOD JOB, BUY A RED CORVETTE CONVERTIBLE...MEET CHICKS. IF WE ARE GOING TO PLAY BASEBALL...LET'S PLAY..
HAVE FUN... LEARN A SKILL....EARN A SCHOLARSHIP.. BASEBALL.....A LOT MORE FUN THAN MATH.. Interested In Linking , Volunteering, Advertising ? PLEASE SUPPORT OUR SPONSORS !